Every couple of years, the photography club(s) I run (now called FOTO-CLUB) stages an exhibition but I decided to do something different in 2016 and opted instead for something that became known as “the book project”. Club members were offered the opportunity to each submit a series of six themed images and ten brave souls rose to the challenge. Some of the group attended my five week evening course called “The 6 Pic Project” to guide them in the development of their submission. The result is a wonderful 8″x 8″ softback book which was launched officially at the club’s December meeting at the 1000 Trades bar, just over the road from the studio. Club member Andrew Crawford is responsible for superb design finish of the book. I think the book was a very welcome and inexpensive alternative to our usual exhibition and so I anticipate us doing it again next year. We were given an excellent printing deal by Dunns in Cradley Heath and I’d like to thank them once again for their support. 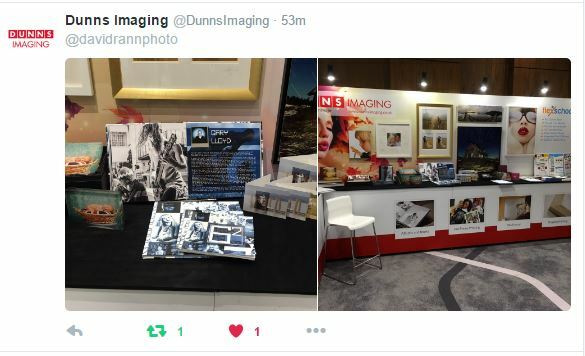 Dunns were so pleased with the book that they chose to display it at a recent trade show. But most of all, I’m incredibly proud of the club’s photographers for their excellent work. ← Spain Here We Come!